Student visa - Russia - Complete Information - How to apply? From Saint Petersburg to Moscow, the mighty nation called Russia guarantees a vast scope of education to the overseas students. The country is studded with some top-notch universities. Since Russia is one of the most beautiful and important countries in the world, the focus of these universities remains on imparting education which makes students understand the world in a better way. This helps them get a job which can crack even the toughest of student’s dreams. Russia is a powerhouse of world-class education where prospective and career oriented students have a vast range of options. 85 regions with more than 890 universities in the country are always looking to cater international students. To get through one of these, you have to undergo following stages �" Choose university and the program/course �" Just go through the program or course you want to opt for. Once you finalize it, select the university, you would like to get admission in. Make sure the course you choose, has the global demand so that it’ll help you get the best of the jobs after completing the course. One of the most important aspects to take into consideration while deciding to study overseas is, of course, the funds. In Russia, you have three ways to secure your financial needs. You can be self-funded, external funds sources such as sponsors; organizations or grantors can be arranged, or you can get the funds from the Russian Government as well. For detailed info, you can go to the website of Ministry of Education and Science of the Russian Federation. The applicant has to submit an 'Initial application' consisting of the desired course detail and duration of the course. This application includes your education details translated in the Russian language, your identification copy, filled form issued by the university or Rossotrudnichestvo office and your photographs. For a complete detail of documents required, visit Rossotrudnichestvo office located in your country. Once you clear this documentation process, you would need to check the documents required for the submission in the university at the time of admission. Entrance exams, Academic competitions, and Tests are the competitive exams the applicants must attend to proceed further. In general, the Introductory Unified State Examination (EGE) is the exam that is taken by the high school graduates to study further in Russia. If you pass the exam, you can be enrolled at the chosen Russian University. All the mandatory details can be read on the official examination website. An invitation is a must for Russian student visa. Once you pass the examination and secure your place in any of the Russian universities, you will get an invitation from the administration of that university. At Rossotrudnichestvo office, they are provided with a 6-digit code which can then be quoted by you while submitting the visa application. 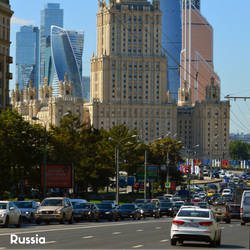 If you want to study in Russia, you will have to follow certain visa procedures. Applicants from some specific countries can enter with just a valid passport as they can access the visa-free system in Russia. The list of such countries can be found on the website of Russian Foreign Ministry. In all other cases, the applicant must be enrolled with any of the Russian educational institutes after qualifying all aforementioned stages and steps and then apply for the visa. Though, as per visa-free system, the applicants can only have access for a maximum of 3 months, and once the stay duration is over, they have to leave the country and re-apply for a long-term visa. So, it’s always better to apply for a long-term Russian student visa in the first place. You must have a valid passport with at least two blank pages in it. You must have your Russian student visa application form (you can fill the form here) filled and duly signed by you. You must have the original diploma or degree certificate or any other educational qualification proof with you. You must have tuition fee payment proof which you will pay to the Russian university at the time of studying. You must undergo HIV test, and the result must be negative. The test must not be older than three months. You must show your intention of not staying in Russia at the end of your authorized visa duration. It's worth mentioning here that the fees for Russian student visa vary from country to country. It is strongly recommended that the applicant should apply for the Russian visa at least three months before the planned date of travel. Information on visa cost can be obtained from the Russian Consulate in your country. However, make a strong note here that even if your visa application gets rejected, the fee will not be refunded in any case. Hence do not mention any false details in your visa application form.